There’s just three weeks to go until the coffee industry unites to celebrate all things coffee at the Melbourne International Coffee Expo (MICE) from 7 to 9 February. 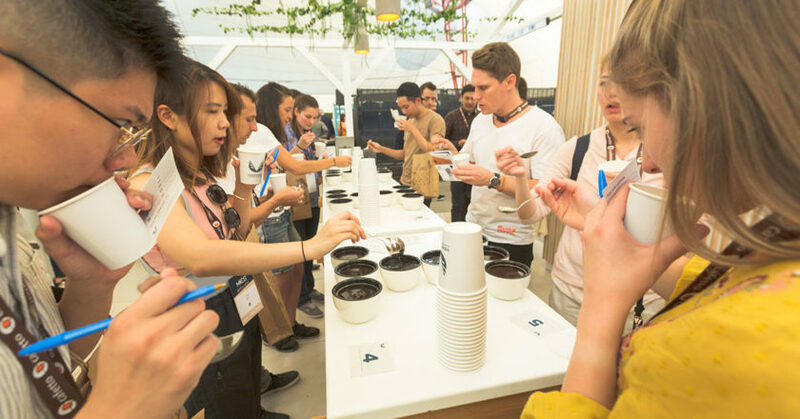 Australia’s favourite coffee event will see companies from in and outside the country launch products and services for the first time in Australia, and in some cases, the world. TCX will officially launch at MICE. MICE Platinum Sponsor The Cup eXchange (TCX) will officially launch its reusable cup subscription service at the event. The brainchild of brothers Marty and Jeremy Rowell, TCX subscribers receive a unique QR code, which they present for scanning at a café. 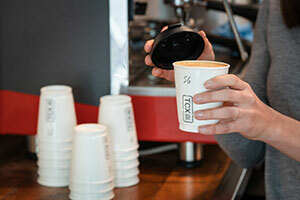 The café will then scan a TCX cup, which is linked to the subscriber’s account until they return it to a participating café or a precinct collection point. The café or precinct collection point then washes the cups for reuse by the next TCX subscriber. “We provide a complete circular economy solution. TCX is about zero waste going to landfill,” Marty Rowell says. The RS1 marks Rancilio’s entry into the specialty coffee market. 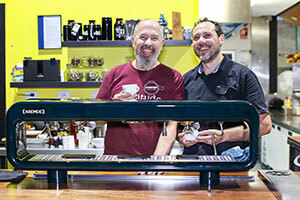 Espresso machine manufacturer Rancilio will hold the Australian release of its new machine, the Rancilio Specialty RS1. With unmatched temperature control during the coffee extraction process, the RS1 allows baristas to fine tune every shot. Rancilio’s first machine aimed at the specialty market, the RS1 represents a bold new step for the more than 90-year-old Italian company. Australian coffee machine manufacturers are getting in on the action too. The Queensland based Aremde will feature its debut model, the Nexus One, at its stand. Alex Milosevic with Aremde Founder Geoff Michelmore. The Nexus One removes the wall of steel that traditionally separates the barista from the customer, allowing for greater than ever levels of customer service. Extraction Artisan Coffee in Queensland was the first café in the world to install the Nexus One. Owner Alex Milosevic says the machine creates a visual flow, allowing full transparency of the coffee making process. It’s not just espresso machines that will be showcased at MICE. Australian company Brew Bar will launch its Energy Buffer System, which enables coffee machines to be run from a 240-volt outlet. 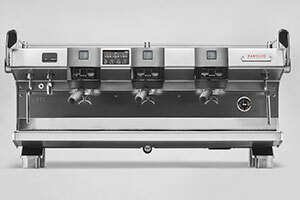 This unit enables mobile coffee service from a multitude of different locations without the need for large power requirements. No longer will cafés and coffee bars be bound to a walled power supply. MICE2019 will be held at the Melbourne Convention and Exhibition Centre. To visit MICE2019, click here.